The holiday season is officially upon us and what better way to celebrate than snuggling up with to watch a holiday movie on Netflix in matching pajamas with your best friend? 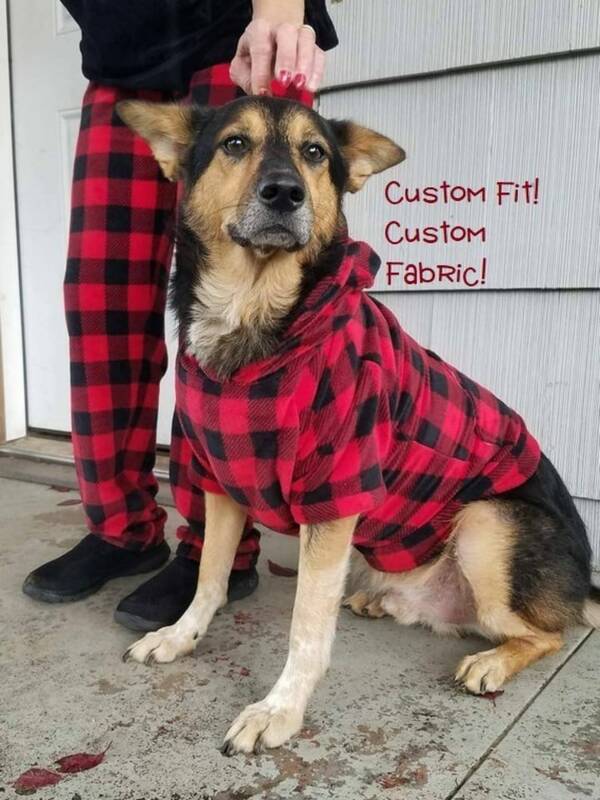 Not your human best friend (although we do have some great ideas for matching family pajamas), but your furry four-legged companion. 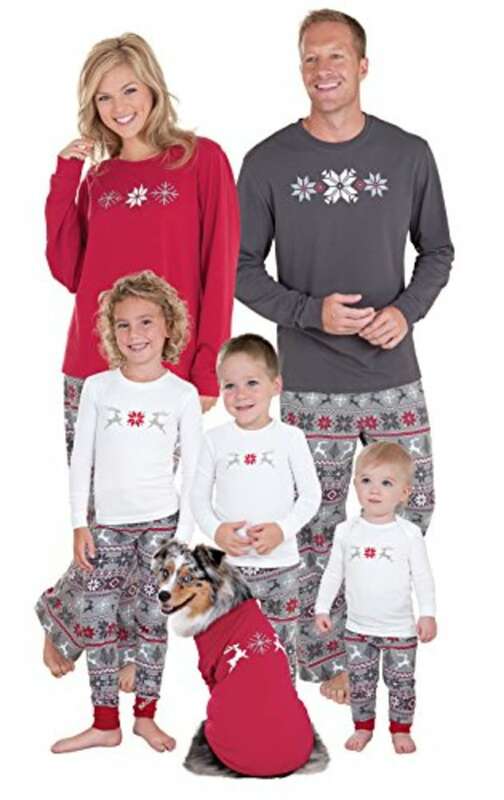 This year, make that your holiday season even sweeter with matching dog and owner pajamas. 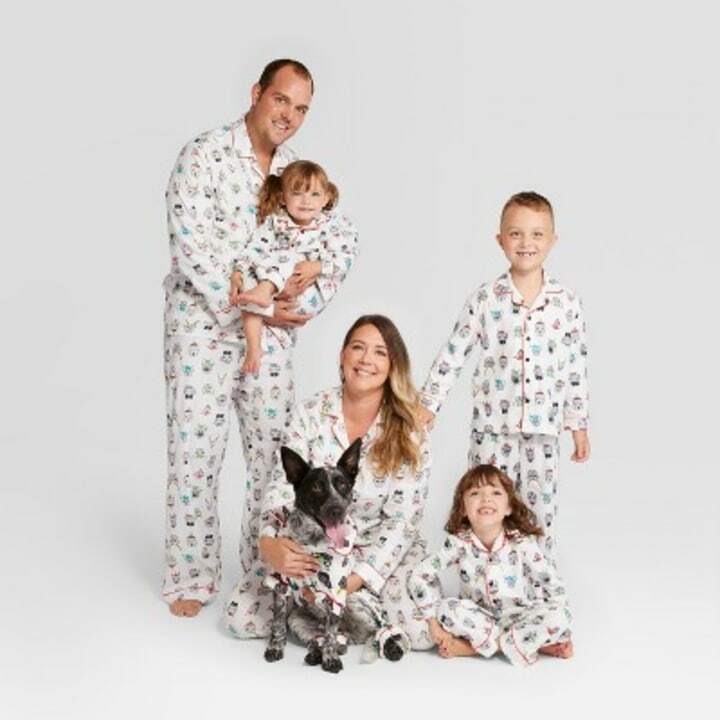 Check out this list for our nine favorite dog pajamas to match the whole family. These adorably festive pajamas have every dog lover's favorite Christmas character all over them — Snoopy. 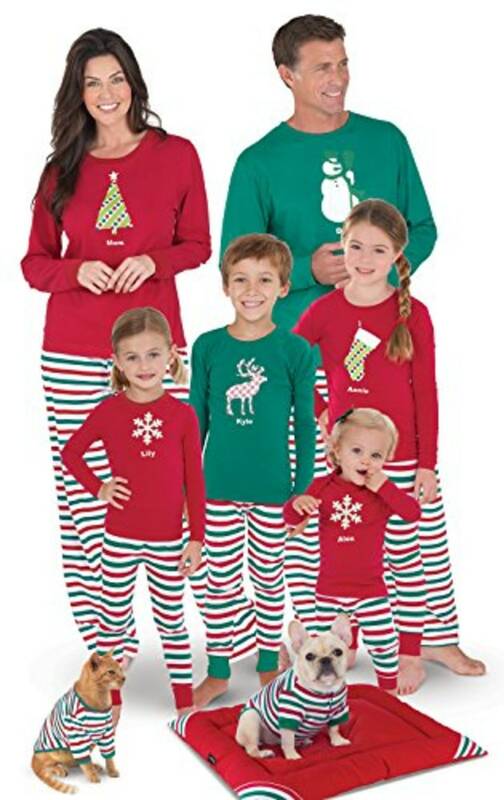 Light up the holidays with these bright pajamas for mom, dad, the kids and the pup. 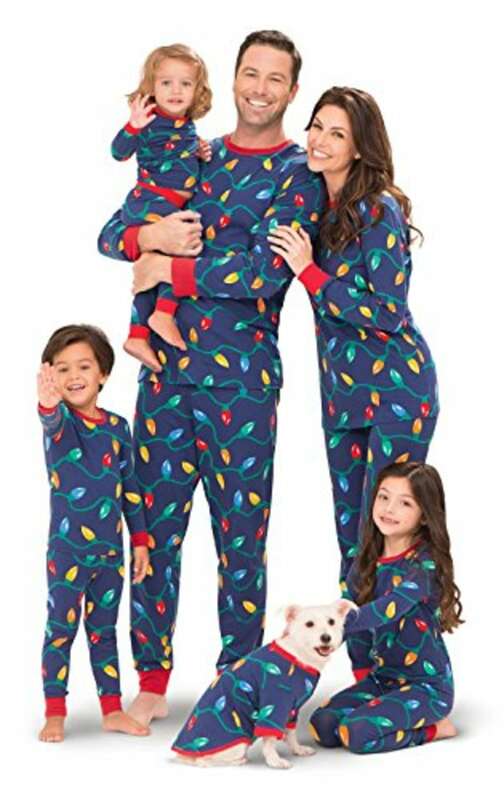 Perfect for families who don't want holiday specific pajamas, these outfits have prints of dogs wearing fun winter hats on them. Cozy up by the fire in these cotton pajamas. Mom and the fur babies will be sporting red, dad in gray and the kids' top comes in white. Your family will be able to rock these snow-themed sets all winter long. Live somewhere cold? 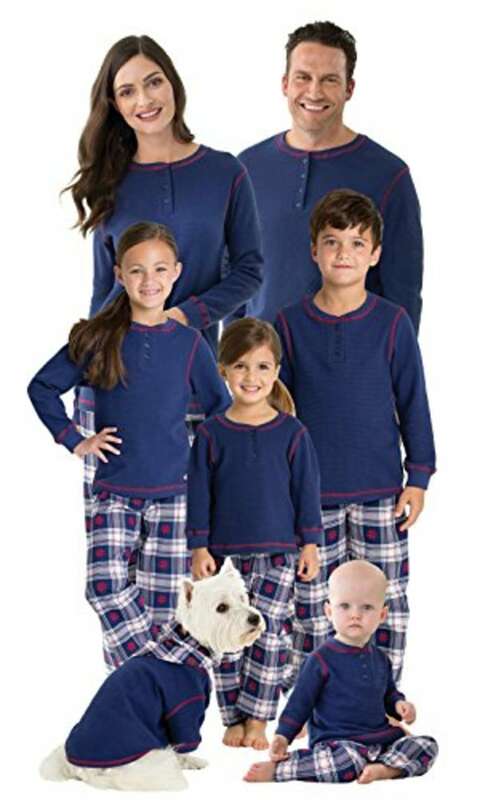 These footless onesies that feel like your favorite sweats will keep the whole family warm on a lazy weekend at home. Don't forget to put the dog's hood on and snap a family picture! These PJs are perfect for opening presents on Christmas morning. 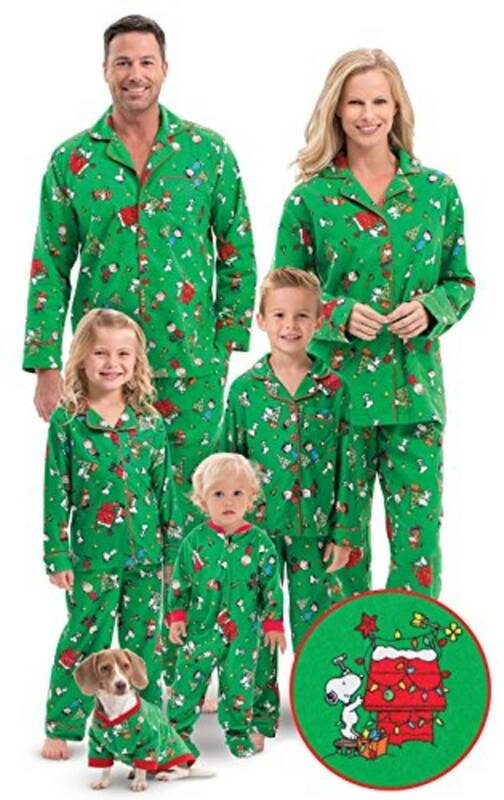 This set comes with a dog hoodie and matching pajama pants for the humans. 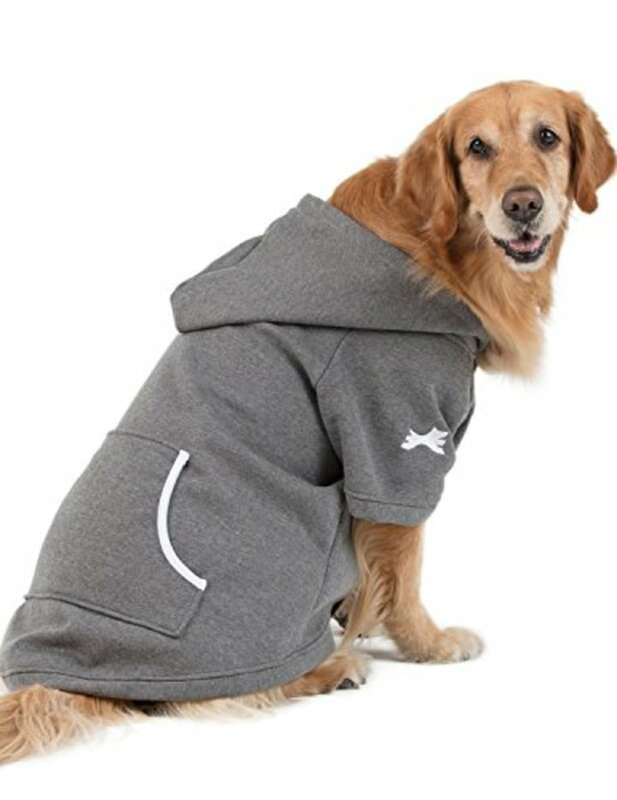 The hoodie is custom fit for the pup using a photo and the print is customizable. 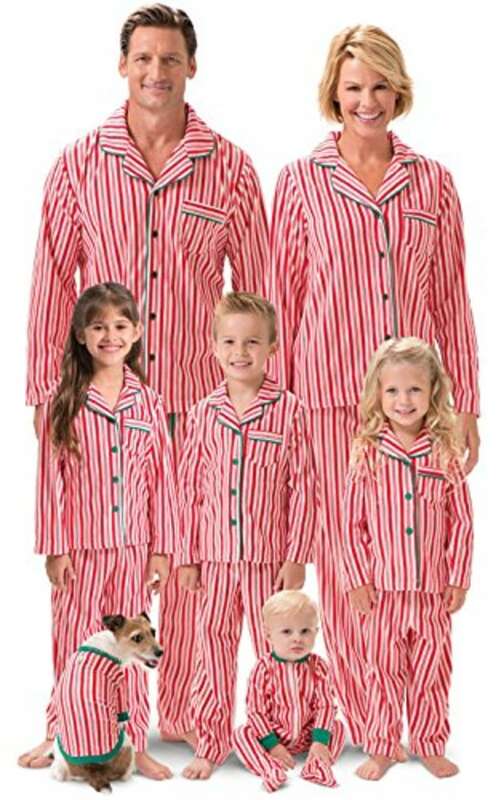 Start a sweet holiday tradition with these candy cane striped pajamas with sizes for infants, kids, adults and pets.